Winter is in full swing, and while you may be on your guard driving on wet and icy roads, it’s easy to let it down once you arrive at your destination. 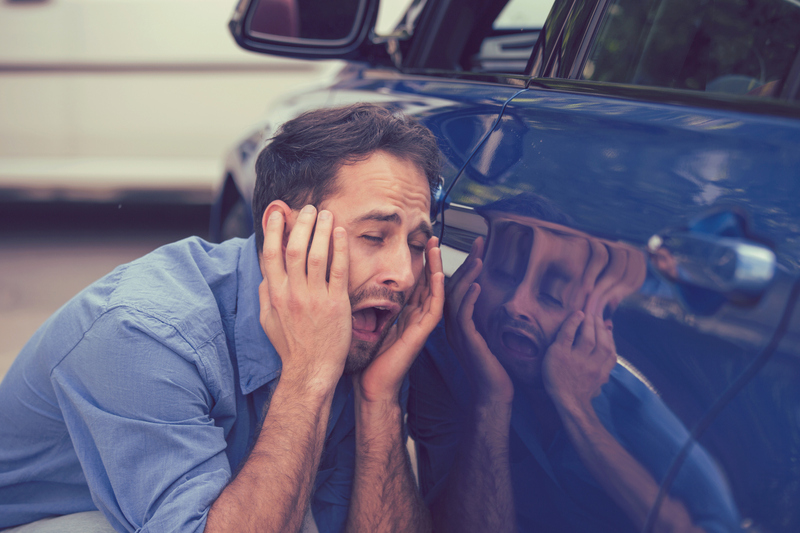 But wait, you’re not quite there, navigating parking lots is more dangerous than you might think, in fact they are one of the most common places for car accidents and car accident injuries to occur. Whether it be the Feasterville Plaza Shopping Center or the Roosevelt Mall in Northeast Philadelphia, it’s not easy to navigate a parking lot full of other motorists and pedestrians and find a place to park at the same time. Here are some common causes of car accidents in parking lots, and some tips to help mitigate the dangers. One of the biggest factors involved in Pennsylvania parking lot auto accidents is misdirected focus of drivers. They may be much more attentive to finding a convenient parking space than they are of other drivers and pedestrians in the area. A great way to mitigate this risk is to park further away where you have better visibility of your surroundings and there is less hectic activity due to mall traffic. Another common cause of car accidents in parking lots is the fact that most parking lots are on private property, which makes most traffic laws unenforceable for police. People often disregard the right of way, in some cases leading to serious injury. While you cannot control other people’s driving, you can control your own. Make sure to always follow common traffic rules so that other drivers can properly anticipate your actions and react accordingly. Poor maintenance and design of parking lots can also lead to car accidents. Poor lighting and icy pavement are a big factor in parking lot car accidents. Additionally, this time of year snowbanks can often severely limit visibility. The best way to counter this is to stay alert, and keep your speed down while navigating the parking lot. Perhaps the most common of all the causes, the frequency with which people must back out of parking spaces leads to many accidents. It is very difficult for drivers to see when they are surrounded by other cars, and a heavy reliance on back-up cameras means that drivers aren’t properly using their rear and side-view mirrors. When you are backing out of a space, it is critical that you turn your head for a better, more accurate view of the situation. As always when driving a car, wearing a seat-belt can prevent many serious injuries. If you or a loved one has been injured in a car accident, whether it be in a parking lot or on the road, the Bensalem, PA law firm of Kamensky, Cohen & Riechelson is ready to help. With extensive experience defending the victims of negligent and reckless driving, you can feel confident that your future will be protected when working with us. To schedule a cost-free consultation with our law team today, contact us online or through our Bensalem offices at 215-337-4915.